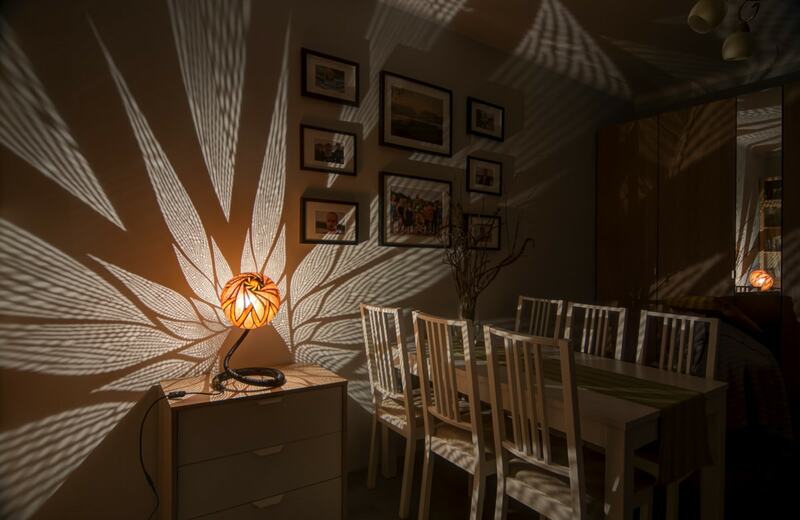 The geometry of Narma shows the beauty and harmony of the design built on a point reflection. 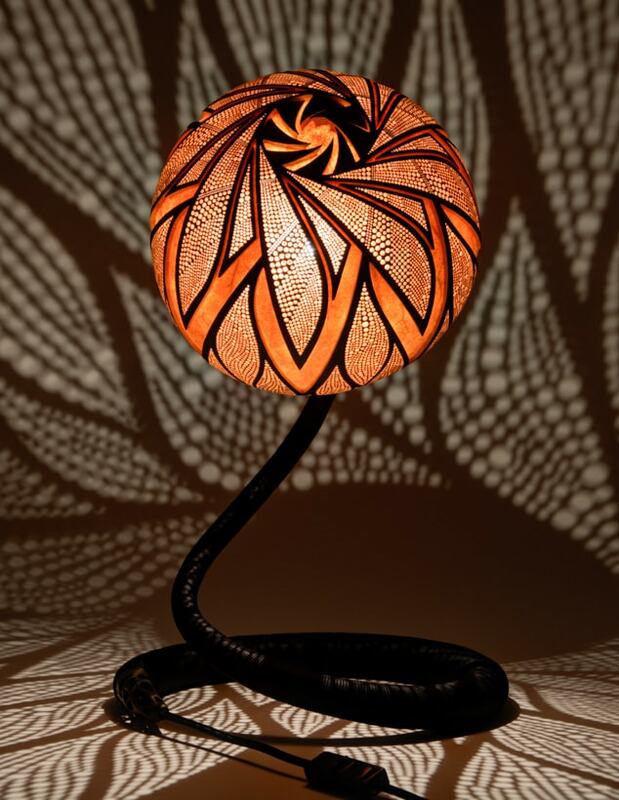 This gourd lamp was one of these exceptions when I accepted to make a lamp for individual order. 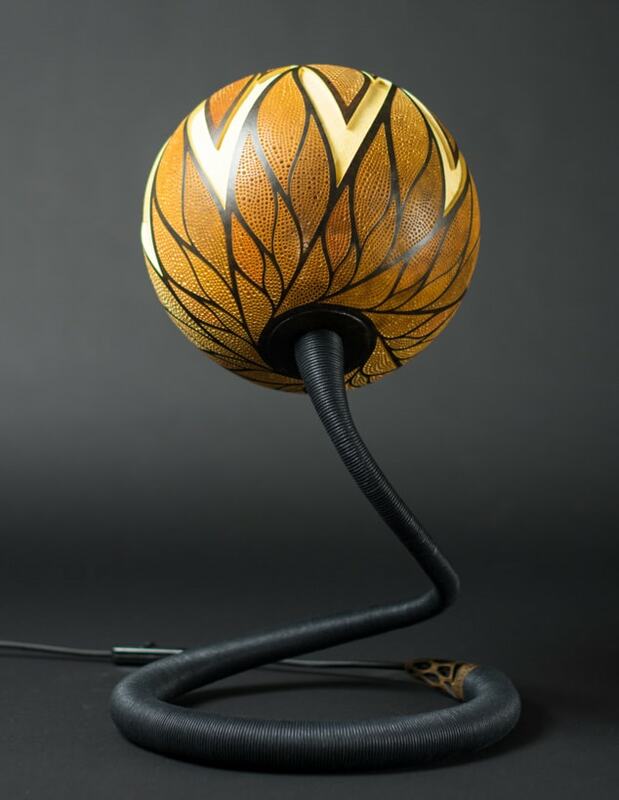 Its design was supposed to loosely relate to one of my older gourd lamps. 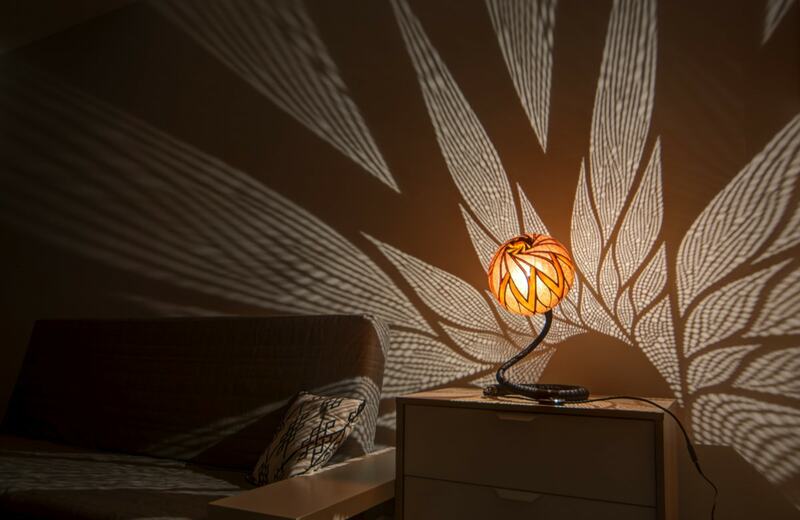 I really enjoy that kind of geometric design in my lamps because of the beautiful light patterns. 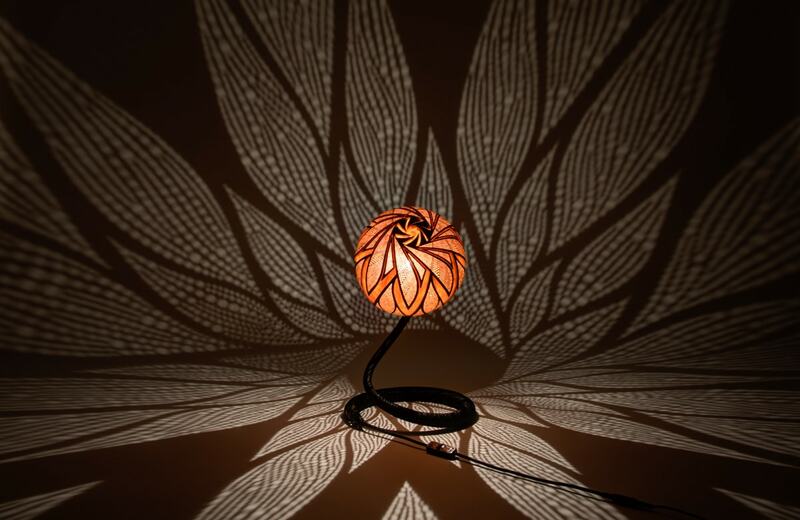 In the case of Narma, its radial design creates harmonic light effects resembling flames or flower. 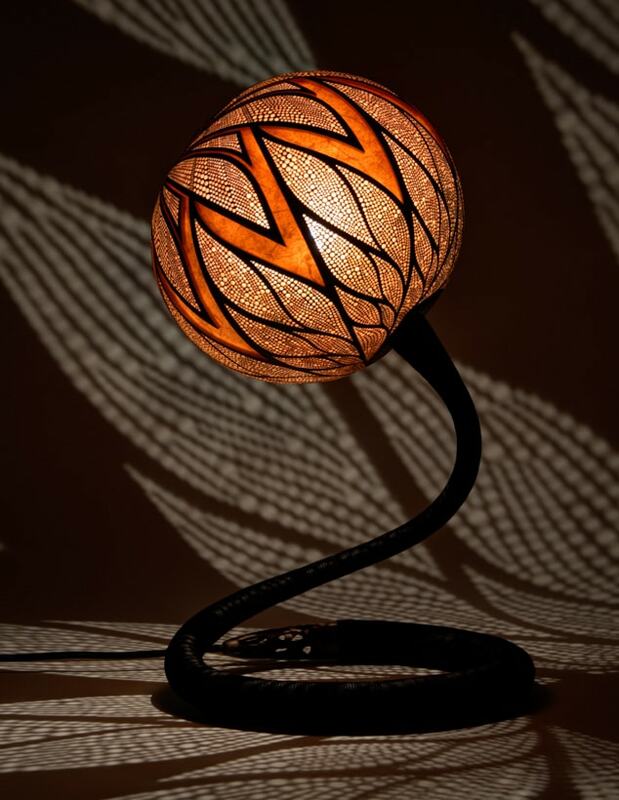 The head of this handcrafted lamp is made of Malian gourd. 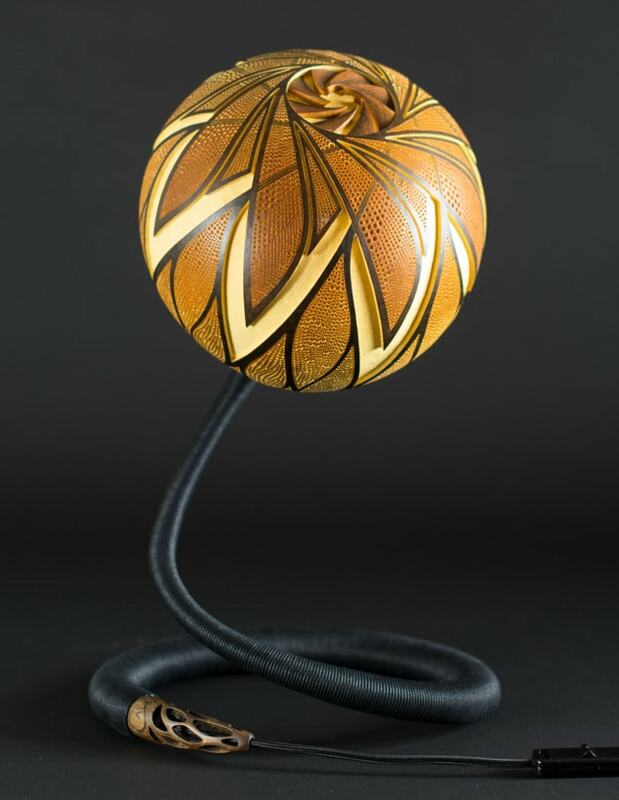 Each gourd is different and unique and very often its characteristic suggests me what I can create within it. 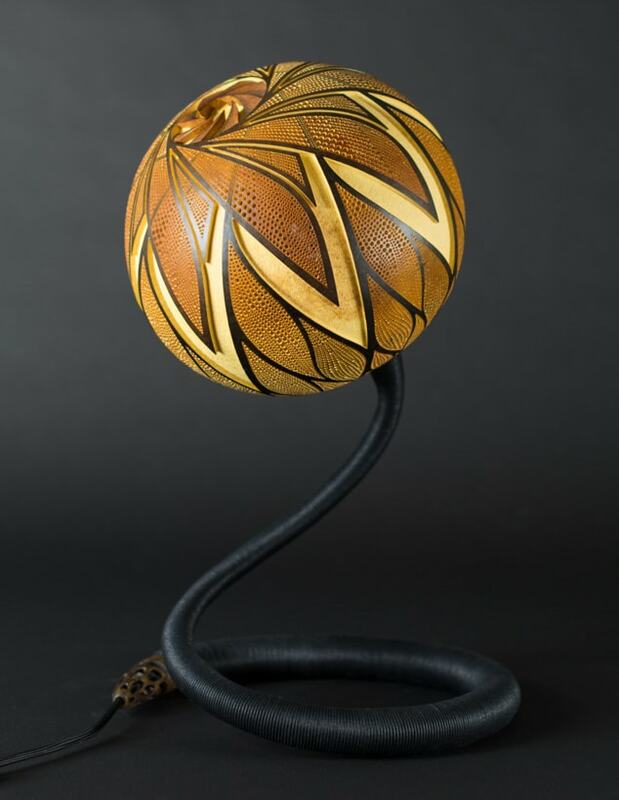 That gourd was very thick on the top, that is why I decided to carve that really deep whirl. The openwork end of the base is carved from wood, featuring an engraved logo and the date of completion.